The Naga Hammadi barrage was completed by the spring of 2008. Water levels have been raised by 4m with the completion of the new Naga Hammadi barrage. The new Naga Hammadi barrage is located some 3,500m downstream of the existing structure. The new barrage is a 320m-long concrete structure erected in a single construction pit. 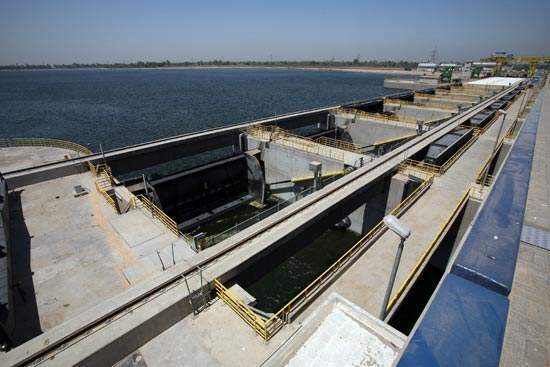 Fully operational since Spring 2008, the project is a central feature in the water infrastructure of the Nile Valley. The construction of the hydro power station is a significant contribution to the national energy supply and will help to protect the climate. The hydropower plant, equipped with four Kaplan turbines, has an installed capacity of 64MW. 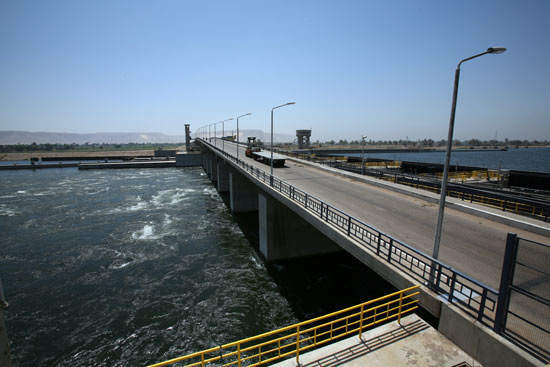 Construction of the new Naga Hammadi barrage was completed in the spring of 2008. The 330m long dam at Naga Hammadi in Upper Egypt replaces a structure built in the early 1900s. Acting as a weir, the seven-gate dam raises the water levels up to 8m for irrigation and drives a 64MW hydroelectric plant. 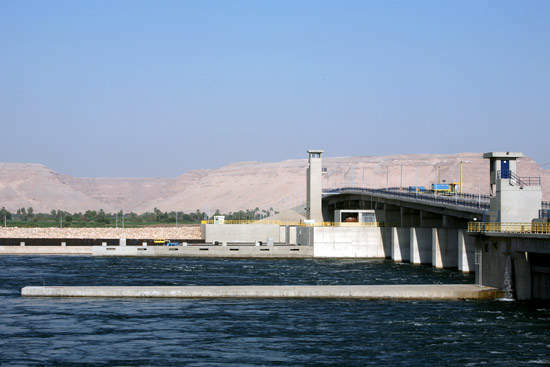 The barrage is of crucial importance to the development of the Nile Valley water supply infrastructure. 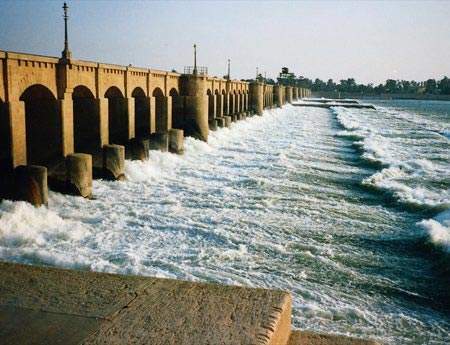 The old Naga Hammadi barrage, the middle of three such structures constructed between 1900 and 1930 along the Nile River in Upper Egypt, is located 140km north of the city of Luxor and 360km downstream of the Aswan Dam, which was completed in 1963. This reservoir feeds an agricultural irrigation system, thus securing year-round cropping of 320,000ha. The new Naga Hammadi barrage is located some 3,500m downstream of the existing structure in a confined reach of the river where geological conditions facilitated the establishment of a large construction pit in the river with a depth of 25m below river water level. A conceptual study comparing rehabilitation of the existing barrage at Naga Hammadi and construction of a new one concluded that a new structure should be built along with a hydropower plant. This was considered the most economic alternative. The construction work on the new barrage project started in 2002. 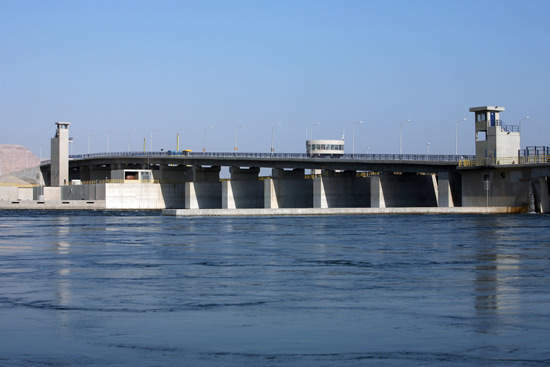 As a member of the Egyptian government’s design team, German engineering company, Lahmeyer, was the project manager of the 330m-long dam at Naga Hammadi. 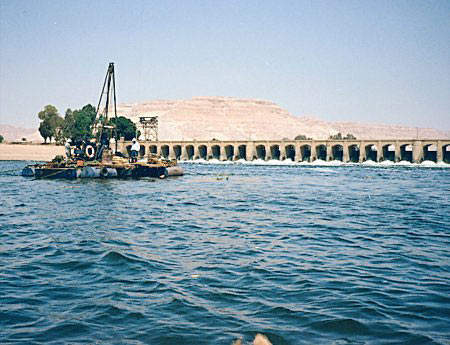 The estimated £445m civil-works of the new Naga Hammadi barrage and hydropower plant construction contract, which involved diverting the Nile through a 1.1km-long canal, was given to a Egyptian-European joint venture consortium comprising Orascom Construction Industries (OCI), France’s Vinici and Bilfinger-Berger from Germany. Four groups, each led by a German contractor, submitted bids for the barrage project in Egypt. As well as Bilfinger-Berger, these included Strabag Bau, Ed Zueblin and Philipp Holzmann. The diversion canal allowed the barrage to be built in the dry, with foundations up to 25m below the normal river level. Acting as a weir, the seven-gate dam raises water by 4m to 8m for irrigation and drives the 64MW hydroelectric plant. The new barrage is a 320m-long concrete structure erected in a single construction pit spanning the entire width of the river. Foundation levels lie up to 25m below the water level. 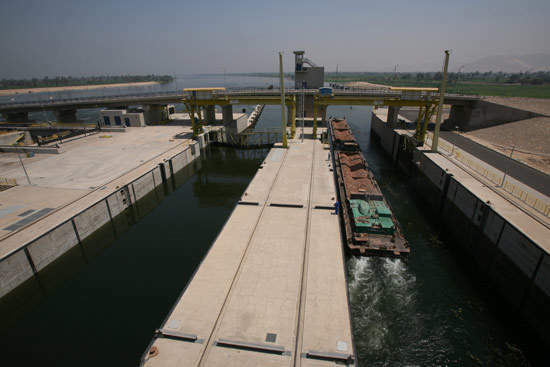 During construction, the Nile River was diverted past the construction pit through a 1,100m long canal. The project required an estimated seven million cubic metres of soil to be moved, as well as around 40,000t of steel and a concrete pour of about 380,000m³. Works included a 66m-high headpond, a 170m-long navigation lock with a width of 17m and a 330m-long low level public road bridge of over the dam. Groundwater seepage into the huge construction pit was cut off by a 60m-deep concrete diaphragm wall enclosing the pit. The European Consortium’s contract encompassed a spectrum of engineering services, ranging from the preparation of the tender design and contract documents for the five construction and supply lots, through to tender evaluation, contract negotiations and construction planning, as well as the supervision of construction, installation and commissioning. Further components of the engineering contract included supporting the government ministries in preparatory activities in the project area, implementation of the comprehensive environmental programme and planning the agricultural use of the areas to be irrigated from the barrage. Bauer was involved in the work for the dewatering of the construction pit. National Steel Fabrication (NSF) supplied 1,600t fabrication steel piles for the barrage. The field service and climbing formwork for the project was provided by PERI. Doubts about the structural integrity of the 70-year-old weir and its remaining life were raised in a study completed in 1997 by the European engineering consortium. This study also addressed technical and economic aspects of alternatives for meeting future irrigation requirements and, additionally, generating hydroelectric power. The most economic solution proved to be construction of a new barrage incorporating a hydropower plant for which geologically favourable foundation conditions were identified some 3km downstream of the existing barrage. This study of alternatives entailed a variety of complex and technically challenging tasks, including 3D mathematical modelling of groundwater flows, physical hydraulic model tests, optimisation calculations, comparison of flood protection concepts and a comprehensive environmental impact assessment for the project. UK-based engineering consultancy Nippon Koei provided input to the environmental planning and management for the new Naga Hammadi barrage. Nippon Koei UK Environment was responsible for environmental and social issues related to the design and construction of a new barrage. This involved two main tasks: to provide environmental and social advice and guidance to RGBS and their consultants as the project proceeds through detailed design and construction; and to undertake a retrospective review of the development of the Naga Hammadi project, to determine its compliance with the recommendations of the World Commission on Dams (WCD). The hydropower plant, equipped with four Kaplan turbines, has an installed capacity of 64MW and annually produces 470GWh of environmentally-friendly energy. VA Tech Hydro constructed and supplied the bulb turbine power station in Naga Hammadi. The electricity demand in Egypt is estimated to be growing by around 7% annually. Construction of the hydro power station is a significant contribution to the national energy supply and will help to protect the climate. The clean energy from the Naga Hammadi hydro power station is urgently needed in view of Egypt’s rapidly growing population, sufficient for about 200,000 families. The hydropower component of four 16MW turbines also includes a power house and a 220kV transmission line of 23km to connect the plant with the national grid. Environmental aspects were carefully examined under an Environmental Impact Assessment, which established an Environmental Management Plan. This was monitored by the Environmental Group set up for this purpose.